In 2009 and 2010, best friends Paul Kimball and Holly Stevens thrilled Eastlink viewers with their exploits in Ghost Cases, a ground-breaking series for the network that put a uniquely personal spin on one of the most enduringly popular types of factual programming. And then, like their fictional X-Files counterparts, the dynamic duo left the world of the paranormal behind. Paul continued his career as an award-winning film director based in Nova Scotia (while also writing a critically-acclaimed account of his experiences in the book The Other Side of Truth), and Holly moved to British Columbia to further her studies in science and to continue her career in the film industry. 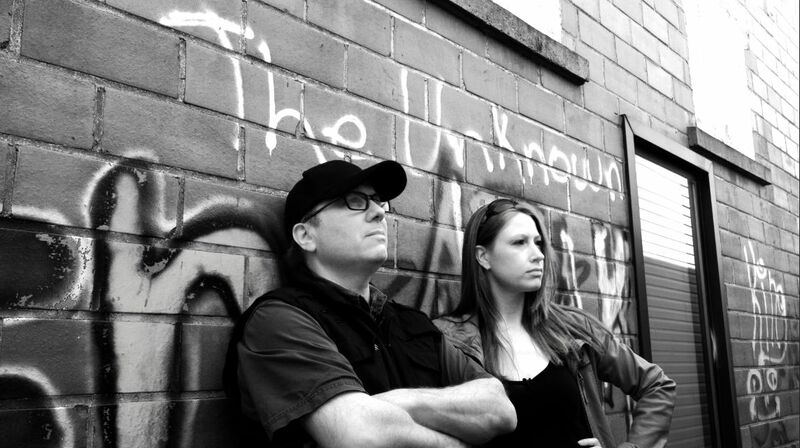 Seven years later, Paul and Holly continue that mysterious journey of adventure and discovery in Haunted, a series that takes viewers deeper than ever before into the darkest and scariest corners of the Maritime Provinces. Each week, they venture forth once again with open minds (and all the latest tech gear) in a renewed investigation of the places in our own proverbial backyard that send shivers up our spines and haunt our dreams late at night, all with the goal of making direct, personal contact with whatever might be waiting for them out there. Haunted airs Tuesday nights at 9:30 pm on Eastlink TV, channels 10 and 610.